Ian Tonge Property Services are delighted to offer for sale this well presented, extended and spacious five bedroomed detached property situated in a popular location and close to all local amenities. The accommodation comprises Entrance Porch, Hallway, Lounge, Dining Room, Conservatory, Breakfast Kitchen, Downstairs WC, Utility Room. 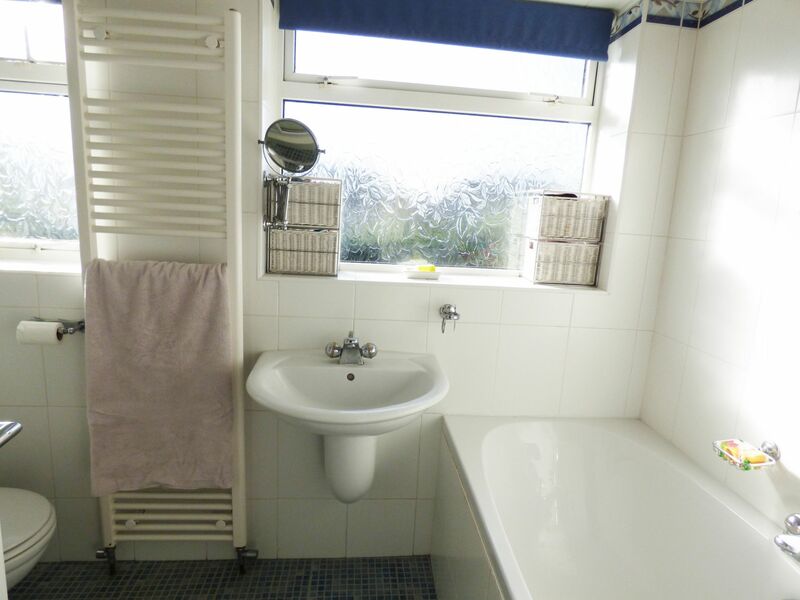 Four Bedrooms to first floor and Attic Bedroom, family Bathroom and Shower Room. Paved driveway to the front of the property and lawned garden to the rear with patio area. Garage for storage. 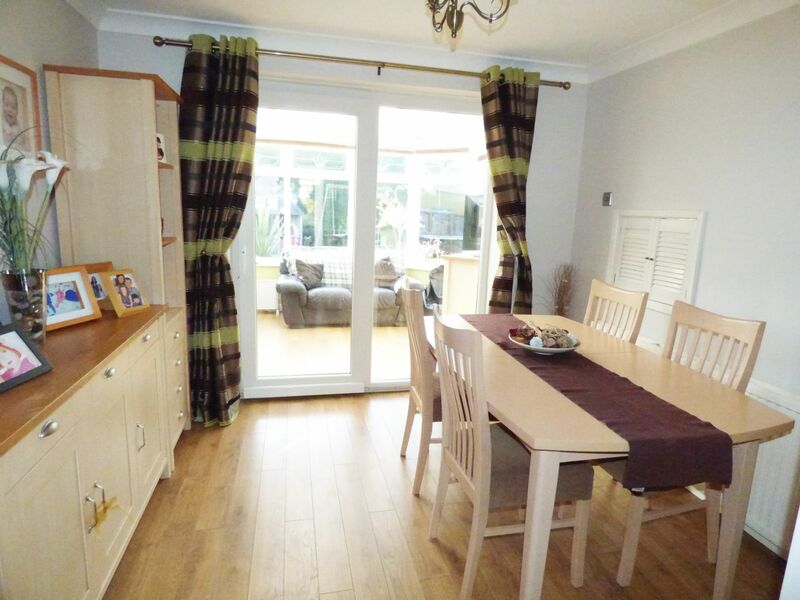 The property also benefits form the advantages of double glazing and gas central heating. Viewings highly recommended. Composite door. uPVC double glazed window to side aspect. laminate floor with tile effect. Staircase ascending to first floor. storage cupboard under the stairs, radiator with cover, power points, laminate flooring. 13'11" (into bay) x 13.02"
uPVC double glazed bow window to front aspect, feature fireplace housing gas fire (please note the gas fire is disconnected at present), single radiator, TV aerial point, power points, wall light points, laminate flooring, bi-folding door to the dining room. uPVC double glazed sliding patio doors to the conservatory, double radiator, serving hatch, power points, laminate flooring. Brick base with uPVC frame, uPVC double glazed windows, uPVC double glazed doors leading onto the garden, power points. uPVC double glazed window to rear aspect. uPVC double glazed patio doors to garden. Fitted with a modern range of wall and base units with complimentary work surfaces, stainless steel drainer sink with mixer tap, built-in double Hotpoint oven, four ring gas hob, double radiator, power points, laminate flooring. Fitted with a low level W.C. wash basin, heated towel rail, splash back tiles. Fitted base units, stainless steel drainer, plumbed for washing machine, access to the storage garage. uPVC double glazed window to front aspect, single radiator, power points. uPVC double glazed window to front aspect, fitted wardrobes, double radiator, TV aerial point, power points. uPVC double glazed window to rear aspect, single radiator, power points. uPVC double glazed window tor front aspect, single radiator, power points. uPVC double glazed window to rear aspect. 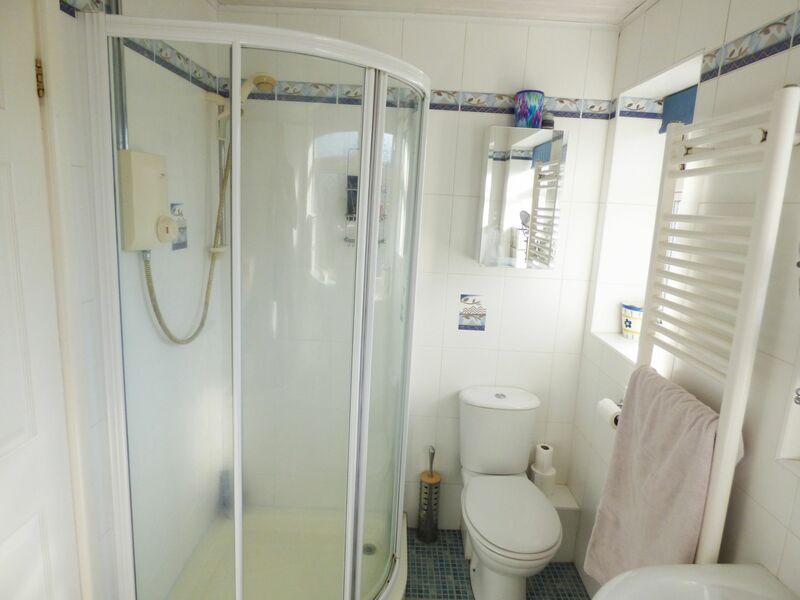 Shower cubicle, vanity sink, low level w.c. extractor fan, tiled walls and tiled floor. Velux windows to front aspect, Fitted wardrobe, storage to eaves space, radiator, power points. Up and Over door. Power and lighting.Tap. To the front of the property there is a paved driveway and low brick wall. The rear garden is enclosed by fencing and hedges, garden laid to lawn , flagged patio area, block paved path, stocked borders and garden shed. Power point, outside tap. We understand that the tenure of the property is to be confirmed. Ian Tonge Property Services give notice that these particulars whilst believed to be accurate are set out as a general outline only for guidance and do not constitute any part of an offer or contract. Prospective purchasers or tenants should not rely on them as statements or presentations of fact, but must satisfy themselves by inspection or otherwise as to their accuracy No person in the employment of Ian Tonge Property Services has the authority to make or give representations or warranty in relation to the property. Travelling from our Hazel Grove office along the A6 in the direction Stepping HIll Hospital. Turn right into Commercial Road and continue along onto Bosden Fold Road, follow the road round onto Hazelwood Road, take the first turning left onto Clarendon Road and second right onto Berkeley Road.